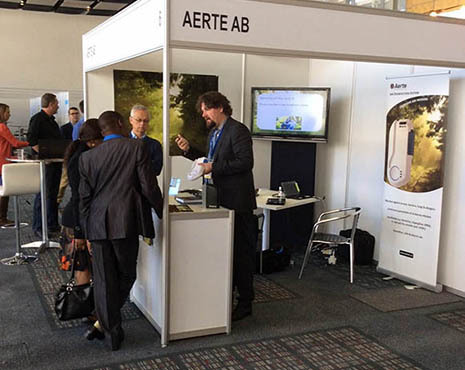 Aerte participated in the 16th International Congress on Infectious Diseases in Cape Town, South Africa, from 2-5 April 2014. More than 3 000 medical and biotechnical experts from all over the world shared and gained knowledge at this international conference. Aerte met a fair share of interest and enthusiasm for our innovative air disinfection technology.